↑ Sawhney, Anubha (2002-07-13). "Anupam Kher: A retake of life’s scenes". Times of India. 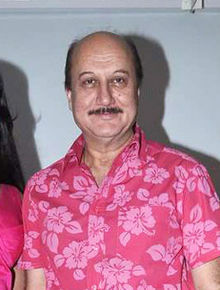 http://timesofindia.indiatimes.com/delhi-times/anupam-kher-a-retake-of-lifes-scenes/articleshow/15884674.cms. अन्तिम पहुँच तिथि: 2007-05-31.